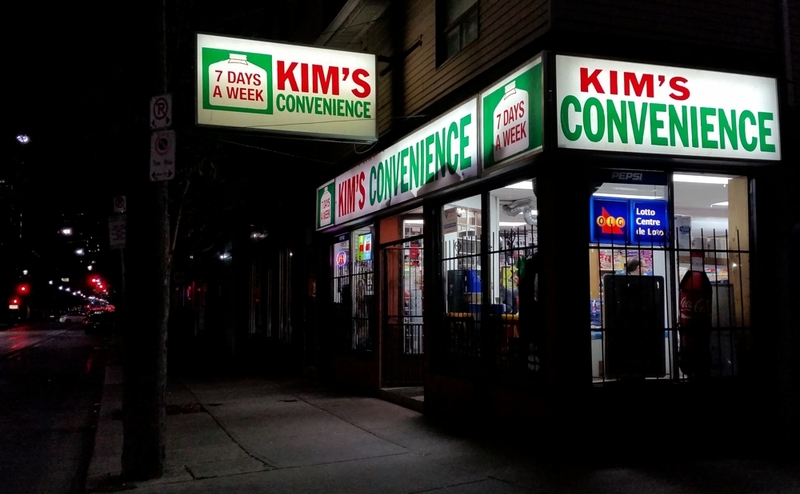 Biking around Toronto during Nuit Blanche I came across the storefront for Kim's Convenience which is a CBC comedy show currently in its second season. Starring Paul Sun-Hyung Lee as Appa, Jean Yoon as Umma, Simu Liu as Jung, Andrea Bang as Janet and Andrew Phung as Kimchee, the show has Appa and Umma running a convenience store in the Moss Park Area. 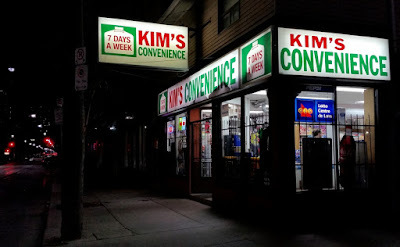 "KIM'S CONVENIENCE is the funny, heartfelt story of the Kims, a Korean-Canadian family, running a convenience store in downtown Toronto. Mr. and Mrs. Kim ('Appa' and 'Umma') immigrated to Toronto in the 80's to set up shop near Regent Park and had two kids, Jung and Janet who are now young adults. However, when Jung was 16, he and Appa had a major falling out involving a physical fight, stolen money and Jung leaving home. Father and son have been estranged since. Now, Appa and Umma run the store along with Janet who is studying photography at art school. Meanwhile Jung, who secretly stays in contact with Umma and Janet, is trying to turn his life around and recently landed a job at a car rental agency. The world of KIM'S CONVENIENCE is real, colourful and urban - a diverse landscape of people and places and at the heart is the Kim family and their store. While the family continues to work and live, finding humour in the everyday tasks of running the store, they long for the day when the rift between Appa and Jung is mended and the family is whole once again." 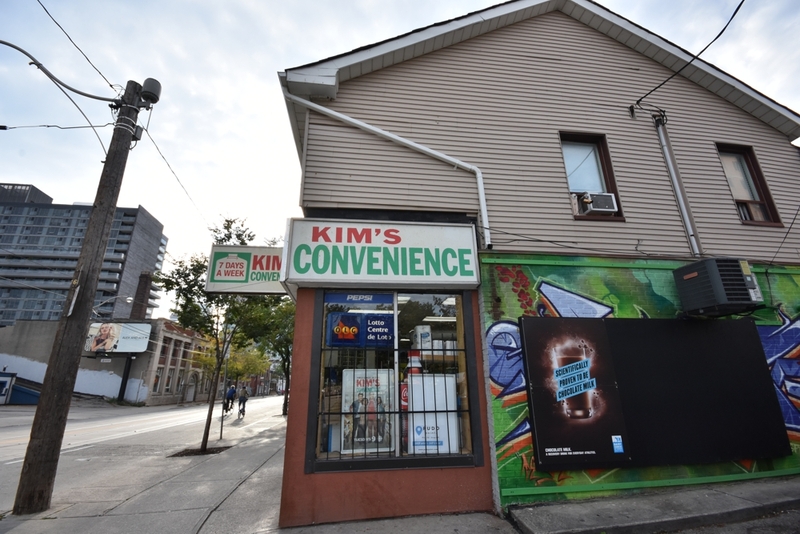 The Kim's signs are up at 252 Queen Street East, home of Mimi Variety which is an actual convenience store. The show changed the signage for the TV show and the owners have not put back the original signs, probably because a lot of fans stop by for photos and shopping. I looked inside and the interior doesn't look like the store in the show.